Click here to watch an interview (February 2018) with Jennifer Robinson, on policy mobility and the urban, global south and urban theory, challenges for future generations of urban scholars, in preparation for the International Conference on Policy Diffusion and Development Cooperation, 16-19 May 2018 Sao Paulo-Brazil, where she will give a keynote lecture. 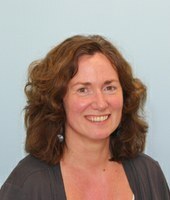 Click here to watch Jennifer Robinson's Inaugural Lecture in December 2011. I did my undergraduate, Hons and MA studies in Geography at the University of KwaZulu-Natal, Durban, followed by a PhD in Geography at the University of Cambridge. I worked for some years in the first of half of the 1990s at University of KwaZulu-Natal, before some time at the LSE and then a good long stint at The Open University, with a super group of colleagues working collectively on what it might mean to think spatially. I have been at UCL since October 2009. Here I am active in the Urban Laboratory, a cross-University network for Urban Studies. 2018. (in press). The politics of the (global) urban: city strategies as repeated instances. in Stijn Oosterlynck, David Bassens, Luce Beeckmans, Ben Derudder, Luc Braeckmans and Barbara Segaert (eds), The City as a Global Actor. London: Routledge. 2017. (with Sue Parnell). The Global Urban: Difference and Complexity in Urban Studies and the Science of Cities, in S. Hall and R. Burdett (eds) Sage Handbook of the 21st Century City. London: Routledge. pgs 13-31. 2017. Starting from anywhere, making connections: globalizing urban theory, Eurasian Geography and Economics Vol. 57 , 4-5: 643-657. 2017. Cities Methodologies Matter: Comparative urbanism, urban theory and theory cultures, in B. Campkin and G. Duizings (eds) Engaged Urbanism: Cities Methodologies. (IB Tauris: UCL Urban Lab publication). 2016. Thinking cities through elsewhere: Comparative tactics for a more global urban studies. Progress in Human Geography, 40, 1: 3-29.
of Urban and Regional Research, 39, 4: 1468-2427. 2016. Comparative Urbanism: New Geographies and cultures of theorising the urban, in Robinson, J. and Roy, A. (eds) International Journal of Urban and Regional Research Debates and Developments Symposium, Global Urbanisms and the Nature of Urban Theory. Vol 40, No. 1, pgs 187-199. 2016. Comparison, in M. Jayne and K. Edwards (eds). 2016. Urban Theory. London: Routledge. 2014. ‘Competitive cities or competing agendas?’ in Le Blanc, A., Piermay, J-L. Gervais-Lambony, P, Giroud, M., Pierdet, C.and Rufat, S. (eds) Métropoles en débat: (dé)constructions de la ville competitive. Paris: Presses Universitaires de Paris Ouest. 407-420. 2012 (with Colin McFarlane) Experiments in Comparative Urbanism: Introduction to co-edited Special Issue, Urban Geography, 33, 6: 765-773. 2012. (With Sue Parnell) (re)theorising cities from the global south: looking beyond neoliberalism, Urban Geography, 33, 4: 593-617. 2011. 'Cities in a World of Cities: The comparative gesture' International Journal of Urban and Regional Research, 35, 1: 1-23. 2011. (with Sue Parnell). Travelling Theory: Embracing post-neoliberalism through Southern Cities, in G. Bridge and S. Watson (eds) New Companion to Urban Studies. Oxford: Blackwells. 2011. The Spaces of Circulating Knowledge: City Strategies and Global Urban Governmentality in E. McCann and K. Ward (eds) Mobile Urbanism. Minnesota: University of Minnesota Press. 2010. 'Living in Dystopia: Past, present and future in Noir Urbanisms, (ed) Gyan Prakash. Princeton: Princeton University Press, pgs 218-240. 2008. Continuities and Discontinuities in South African Local Government. In M. van Donk, Swilling, M, Pieterse, E. and Parnell, S. (eds) Consolidating Developmental Local Government: Lessons from the South African Experience. Cape Town: Isandla and UCT Press. Pgs 27-50. 2008. Geographies of Globalisation: A Demanding World. (Edited with Gillian Rose and Clive Barnett) London: Sage and The Open University. 2008. Developing Ordinary Cities: City visioning processes in Durban and Johannesburg, Environment and Planning A 40, 74-87. 2007. The Handbook of Political Geography (Edited with Kevin Cox and Murray Low). London: Sage. 2006. Ordinary Cities: Between Modernity and Development. London: Routledge. 2006. Development and Urban Policy: Johannesburg’s City Development Strategy (with Sue Parnell), Urban Studies 43, 2: 337-355. 2006. Inventions and Interventions: Transforming Cities (Special Issue edited with Edgar Pieterse) – An Introduction, Urban Studies, 43, 2: 251-258. 2005. In the tracks of comparative urbanism: difference, urban modernity and the primitive Urban Geography, 25, 8: 709-723. 2005. Urban Geography: World cities, or a world of cities, Progress in Human Geography, 29 (6): 757-765. Robinson, J. (2004) Cities Between Modernity and Development South African Geographical Journal 86, 1: 17-22. Robinson, J. (2003) Postcolonialising Geography: Tactics and Pitfalls Singapore Journal of Tropical Geography. vol. 24, no. 3, pp. 273-289. Robinson, J. (2003) Cities as spaces of interaction: African Participation in Johannesburg's 1936 Empire Exhibition. Journal of Southern African Studies. vol. 29, no. 3, pp. 761-791. Robinson, J. (2002) Global and World Cities: A view from off the map, International Journal of Urban and Regional Research, vol. 26, no. 3, pp. 531-554. Robinson, J. (2000) Feminism and the spaces of transformation, Transactions of the Institute of British Geographers, vol. 25, no. 3, pp. 285-301. Robinson, J. (2000) 'Power as friendship: spatiality, femininity and "noisy surveillance"' in Philo, C., Routledge, P. and Sharp, J. (eds) Entanglements of Power, London, Routledge, pp. 67-93. Robinson, J. (1998) 'Spaces of democracy: re-mapping the apartheid city', Environment and Planning D: Society and Space, vol. 16, no. 5, pp. 533-48. Robinson, J. (1998) '(Im)mobilising space - dreaming (of) change' in Judin, H. and Vadislavic, I. (eds) Blank_____ : Architecture, Apartheid and After, Rotterdam, NAi publishers (D7). Robinson, J. (1997) 'The geopolitics of South African cities: states, citizens, territory', Political Geography, vol. 16, no. 5, pp. 365-86. Robinson, J. (1996) The Power of Apartheid: State, Power and Space in South African Cities, London, Butterworth-Heinemann. My current research interests focus on developing a postcolonial critique of urban studies. My book, Ordinary Cities (2006) looks at how the interplay between urban modernity and development frames a conceptual and practical divide between "Western" and "Third World" cities. The book develops the claim that urban theory needs to be more cosmopolitan in the resources it draws on; and argues that urban development policies need to move beyond developmentalism and draw on the wider cultural and economic resources of urbanism in poorer cities. More recent writing extends this argument to develop appropriate methods and tactics for international theorisation of 21st century cities, organised around the conceptualisation of comparative urbanism, and a book on this topic is under preparation. Grant applications and research in progress explore questions of the geopolitics of policy mobility; international theorisation of global city-regions; and activist research on London’s city strategies. These all take forward methodological experiments for an international urban theory. Previous research has centred on the relationship between power and space, specifically in cities and mostly in relation to South African politics. For example, I have written on the 1936 Empire Exhibition in Johannesburg to explore spaces of racial interaction in South African cities. I have also written on issues in feminist politics, including questions of difference and methodology, and more recently on the implications of Julia Kristeva's psychoanalytic writing for feminist theorizations of space. More broadly, I have explored ways of postcolonializing the theoretical and empirical practices of Geography. Critiques of global and world cities: A seminal critique of the dominant global and world cities analysis with respect to its implications for wider urban studies and for the politics of development in poorer cities has been drawn on in background and published policy documents which have informed the conceptualisation of urban development in South African cities, e.g. the background review document for the 2006-2011 Growth and Development Strategy which scoped international experience in city strategies and established an approach to Johannesburg’s strategic policy. Robinson was invited to speak to city councillors and officials in Johannesburg on various occasions (2004; 2011) and on their study tour to London (2006) informing ongoing strategic policy development in this period. The research is planned to be taken forward in a collaboration with the Gauteng City-Region Observatory (GCRO) on conceptualising global city-regions. City Strategies: Studies of the politics of Johannesburg’s City Strategy led to Robinson being invited to review and comment on the draft revised GDS2040 at the Johannesburg City Council’s international conference as part of the consultation process in October 2011, including speaking to a mass public gathering and on the main morning news television. These contributions encouraged the strategy’s commitment to a broadly balanced and locally resonant range of policy commitments. 1) Desktop review of international experiences with city strategies to which Robinson inputs were noted as helpful – document available from Robinson. 8) Building links with community groups involved in the London Plan processes, as co-organiser of a joint Urban Salon and Just Space network conference, June 2011 (http://justspace2010.wordpress.com/welcome-to-just-space/about-2/9-june-2011-conference/); ongoing collaborations through community-based teaching (URBNG007) and collaborative research activities, including comparative work on the London Plan and the Johannesburg GDS with links to supporting community participation through Planact explored in collaborative work with Barbara Lipietz at the DPU( http://www.planact.org.za/). I have been at UCL since October 2009, teaching on MSc courses (Thinking Space, Globalisation, Methods, City space and power, Comparative Urbanism, Community Participation in City Strategies) and 1st year (Global Geographies), 2nd year (Urban Geography) and 3rd year (Comparative Urbanism) courses. Jens Kandt (2011) Comparative study of Health care provision and space in London and Hong Kong. Rita Lambert (2013): Comparative study of community mapping in Lima and Addis Ababa. Hui-CHun Lui (2016): The geopolitics of urban development, Taiwanese-Chinese links in SEZs in Fuzhou, Pingtan and Xiamen. I welcome applications from students eager to take forward international and comparative approaches in urban studies, and also in South African studies.